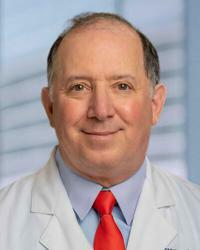 Kenneth Palmer, MD, is a board-certified, fellowship-trained orthopedic surgeon who specializes in spine conditions at Houston Methodist The Woodlands Hospital. His specialties include minimally invasive treatment of adult spine conditions. These conditions include degenerative issues such as arthritis, disc degeneration, disc herniations, and spinal stenosis; minimally invasive disc fusions; kyphoplasty; treatment of orthopedic trauma such as with auto accidents, trivial trauma involving fragility fractures in the elderly and osteoporosis; and pain management, including spinal injections and epidural injections. Dr. Palmer is certified by the American Board of Orthopaedic Surgery, a fellow of the American Academy of Orthopedic Surgeons and a member of the North American Spine Society. He received his medical degree from Georgetown University School of Medicine in Washington D.C., served his residency in orthopedic surgery at St. Luke's, Roosevelt Hospital in New York and completed his fellowship in spinal surgery at Baylor College of Medicine in Houston.